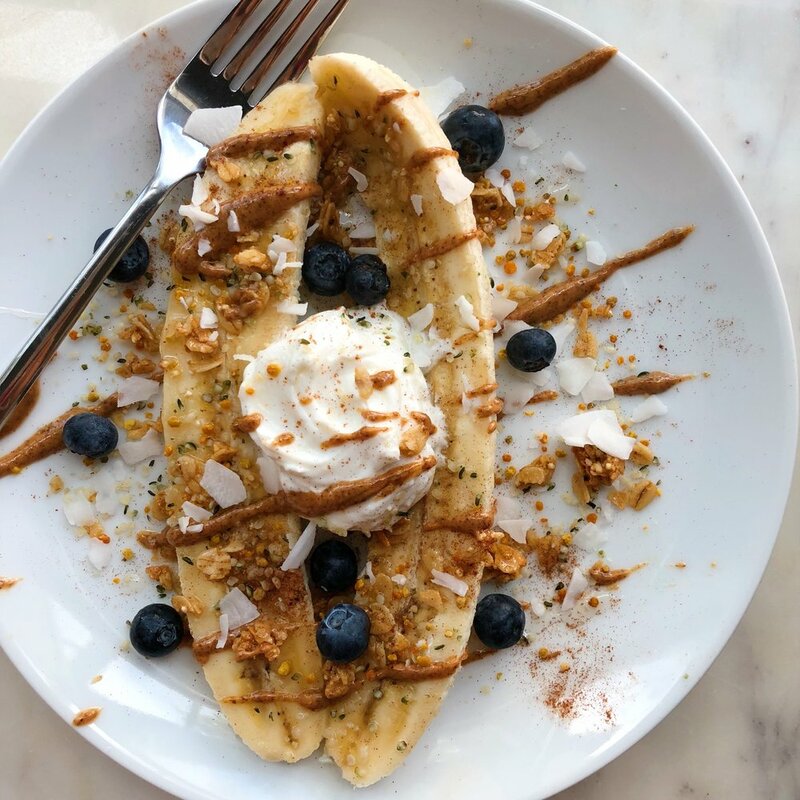 Banana split dreams coming true with this breakfast version! If you like sweet breakfasts then you'll love this one! I used to eat banana with peanut butter every day when I was a kid. I'd cut it up, put a little PB on each piece & drizzle with honey. Now, I just change it up a bit and add all my favorite toppings. So easy & so delish! This makes for an easy breakfast or snack! Cut banana in half and top with all ingredients! Easy peasy!